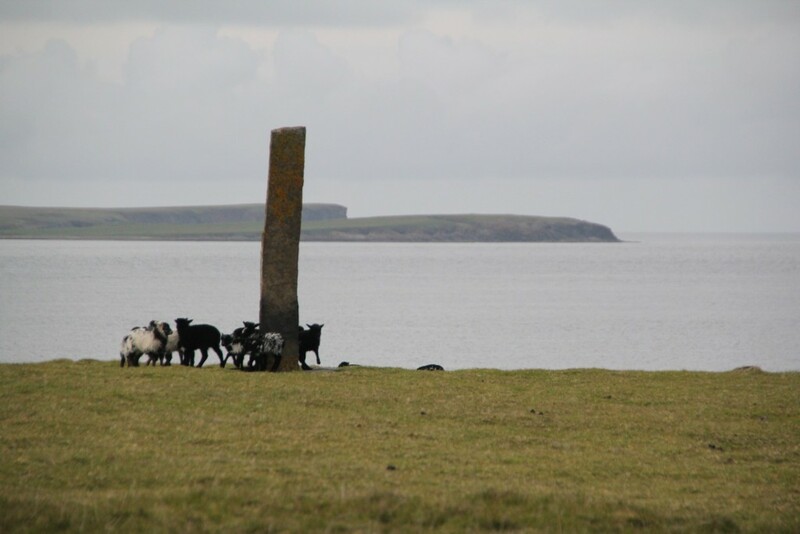 Neolithic Period – Standing stones erected for reasons unknown. Indicates a large population living in Auskerry. Bronze Age – Several houses erected and a ‘Burnt’ Mound indicating a thriving community. Iron Age – Much evidence of Farming activity, with field boundaries and dykes for animal husbandry. 6th – 12th Century – A community of Christian ‘Hermits’ lived in a monastic building on the South coast. They built a Pictish and later a 12th century Church. 1771 – 60″ long Sperm Whale came ashore in Whale Geo on the East side. It was later transported to Stronsay for processing for Sperm oil which took 3 weeks and several men to complete. 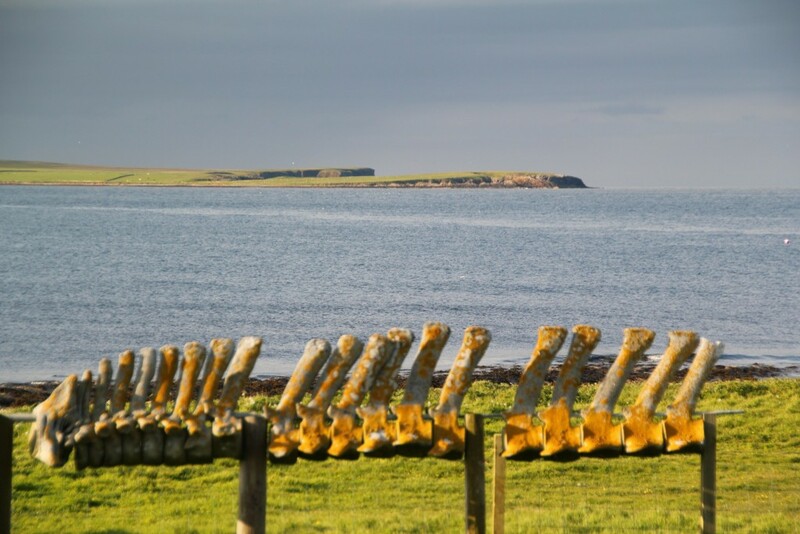 12th Century – 1866 – Peat cutting, Kelp collection for Alkali and sheep farming continued without any permanent human inhabitants whilst Auskerry was owned by the Housebay Estate in Stronsay. 1864 – Work began on building the Lighthouse. 1866 – Lighthouse completed. The lighthouse was occupied by 2 families until the 2nd World War when the Northern Lighthouse Board changed the manning to 3 keepers in about 1943. 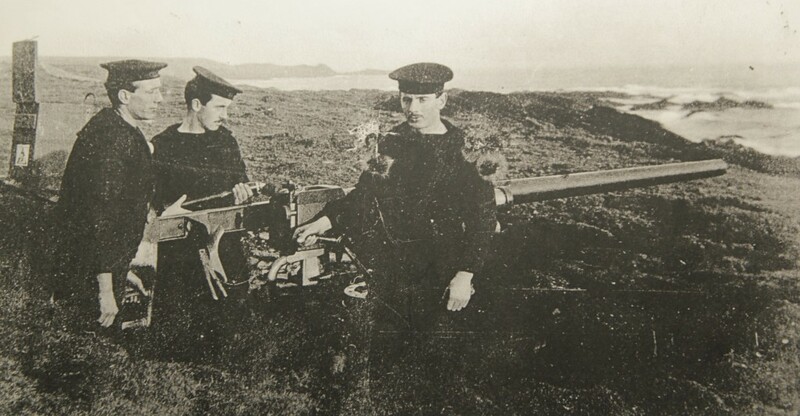 1914 – 1918 – 1st World War Navy personnel stationed for signalling and Radio surveillance. They lived in huts in the field near the Lighthouse. 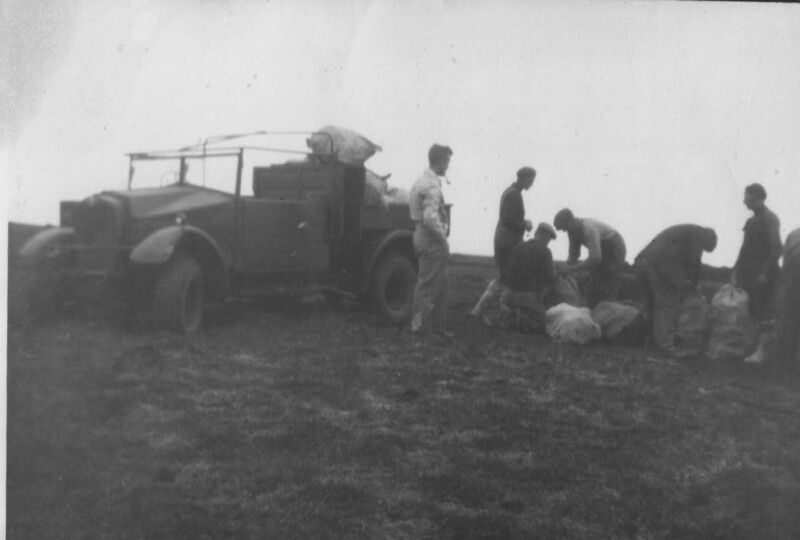 1941 – Two bombs landed in Auskerry near the lighthouse. 1942 – Hotchkiss guns erected. 1939 – 1945 – Convoys of ships passed by in the Stronsay Firth. 1943 – December 16 Donald Franko crash landed an Oxford Trainer on Auskerry in driving rain and no visibility. 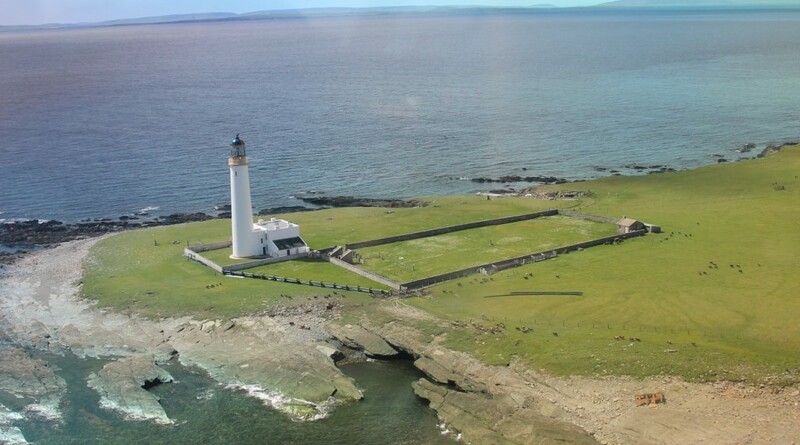 1961 – Lighthouse automated – the first to be automated in Orkney and one of the first in Scotland. 1973 – Simon Brogan bought the island. 1975 – Simon Brogan came to live on it full time. 1983 – Teresa Probert married Simon and joined him on the island. 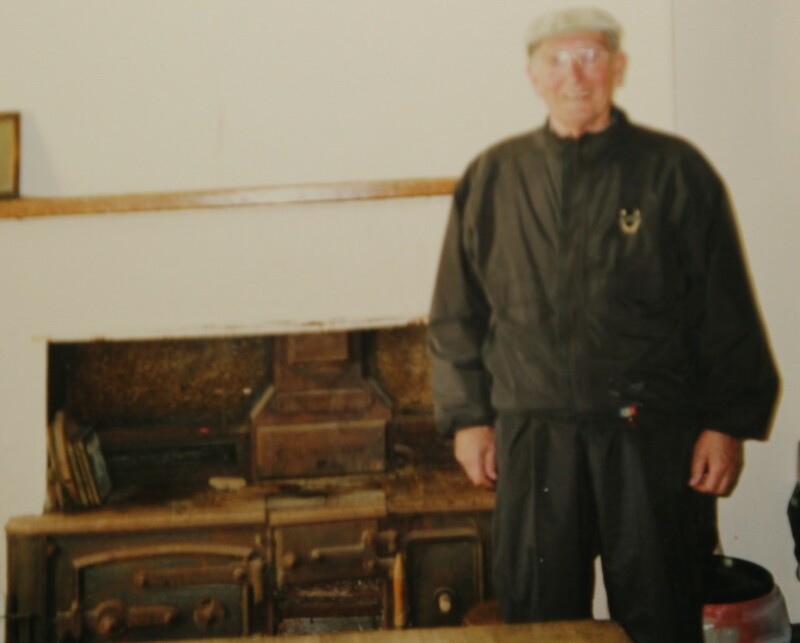 1983 – ‘Isle of Auskerry’ business started . 1988 – Rory Auskerry their first son was born. 1991 – Owen Auskerry their second son was born. 1996 – Hamish Auskerry was born. 1998 – 30″ Northern Bottlenose Whale came ashore. Skeleton remains on the island. 2000 – Donald Franko who crash landed in the 1943 revisited with his wife, Lottie and daughter, Betty Tripp. 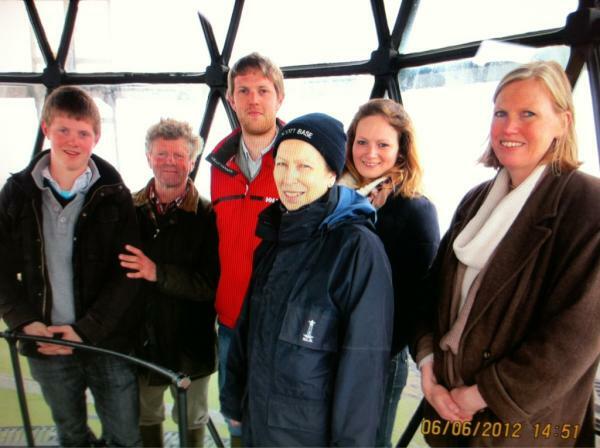 2012 – June 6th Visit from HRH Princess Royal with the NLB as part of HRH The Queen’s Golden Jubilee Celebrations. A beacon had been lit in Auskerry the day before.